In The Medicines Co. v. Hospira, Inc. (Nos. 2014-1469 and 2014-1504), the Federal Circuit issued an en banc decision clarifying when a product made pursuant to a “product-by-process” claim is on sale for purposes of 35 U.S.C. § 102(b) under the pre-AIA standards. In a decision written by Judge O’Malley, the Court held that to be on-sale, the product must have been the subject of a commercial sale or offer for sale that bears the “general hallmarks” of a sale under § 2-106 of the UCC. The case involved an Abbreviated New Drug Application in which Hospira sought FDA approval to sell a generic drug before expiration of two of the patents-in-suit, which claim pH-adjusted pharmaceutical batches of a drug product used to prevent blood from clotting. The patents arose out research involving a similar drug not covered by the patents. In late 2006 MedCo paid a company (Ben Venue) to manufacture three batches of the drug according to the patented process. The three batches were manufactured by the end of 2006 and had a value of over $20 million (even though it cost substantially less to manufacture them). The three batches were placed in quarantine pending FDA approval. The batches were finally released from quarantine in August 2007, which was after the July 27, 2007 critical date. Hospira claimed that the patents were invalid under § 102(b) for being on-sale prior to the critical date because of the contract between MedCo and Ben Venue to manufacture the three batches. The district court disagreed, finding that the MedCo-Ben Venue sale was a contract for manufacturing services, and not a commercial sale under § 102(b). The three-judge panel of the Federal Circuit reversed, finding that the contract did trigger the on-sale bar. The entire Federal Circuit then took up the issue en banc to clarify the on-sale bar standard. The en banc Federal Circuit determined that there was no invalidating prior sale for purposes of § 102(b). 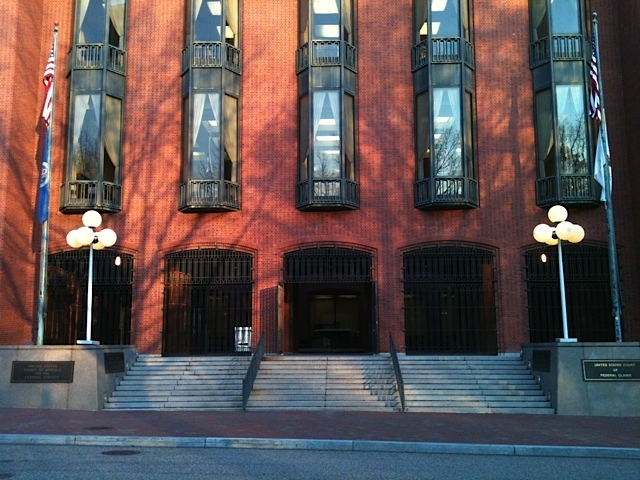 Whether the on-sale bar applies is a question of law based on factual findings, so the lower court’s factual findings were reviewed with deference, but the ultimate legal question was reviewed de novo by the Federal Circuit. The Court traced the history of the on-sale bar and how it was first codified in the Patent Act of 1836, before its final incarnation (for purposes of these patents) in the Patent Act of 1952. Under § 102(b) an inventor is not entitled to a patent if the invention was on sale in the United States more than one year prior to the date of the patent application. In Pfaff v. Wells Electronics, Inc., 525 U.S. 55 (1998), the Supreme Court clarified the proper analysis of the on-sale bar, and held that courts should employ a two-part test: (1) was the claimed invention the subject of a commercial offer for sale, and (2) was it ready for patenting at that time? Ready for patenting means either it was reduced to practice or there were sufficient drawings or descriptions to allow one or ordinary skill in the art to practice the invention. The en banc Federal Circuit focused on the first prong of the Pfaff test–was the invention the subject of a commercial offer for sale? The Court determined that it must answer this question by looking what those in the commercial community would understand as being a sale or offer for sale, and that the UCC was a good resource for answering that question. Under the UCC, “[a] sale is a contract between parties to give and to pass rights of property for consideration which the buyer pays or promises to pay the seller for the thing bought or sold.” Under this standard, the Federal Circuit did not consider MedCo’s contract with Ben Venue to be a commercial sale because (1) only manufacturing services were sold to MedCo, not the invention, (2) the inventor retained title to the invention and Ben Venue was not entitled to sell the product to others, and (3) stockpiling standing alone does not trigger the on-sale bar. Here, the patents claimed a product by process, not the process itself. So, the contract to manufacturing the drug was not a contract to purchase the product itself. The Court also found meaningful that Ben Venue lacked title to the batches–MedCo always maintained title in them. Without a transfer a title, the Court was disinclined to find that a sale of a product had occurred. In addition, MedCo and Ben Venue had a confidentiality agreement. While not conclusive, this factor also weighed in favor of the Court finding that a sale had not occurred. Finally, the Court did not find that stockpiling a product was sufficient activity to trigger the on-sale bar because that activity fell into the category of actions that amount to preparations for sales. Taken together, the Federal Circuit found that there was no commercial offer for sale or sale for purposes of § 102(b) under the pre-AIA standard. This decision will provide some additional clarity and direction for what constitutes a potentially invalidating sale of goods. This entry was posted in Patents and tagged commercial sale, en banc, Federal Circuit, on-sale bar, Pfaff, Pittsburgh Patent Attorneys, product-by-process. Bookmark the permalink.